The Sunshine Coast is one of Australia’s most rapidly changing regions. On the one hand inter-state migration is transforming once distinctive coastal and farming townships into a uniform suburban expanse. On the other, climatic transitions are reshaping the wide beaches and pristine waterways. As a result the once clear northern boundary, formed in the broad sweep of the Noosa river estuary, is now fudged, as tourist development inserts itself on the forested north bank of the river. The southern borderland of the Sunshine Coast meanders between the marine park of Pumicestone Passage, commercial pine plantations and the conical peaks and fruit farms of the Glasshouse Mountains. These form a precarious divide between the distinctiveness of the Sunshine Coast as a region and a fast approaching northern boundary of suburban Brisbane. 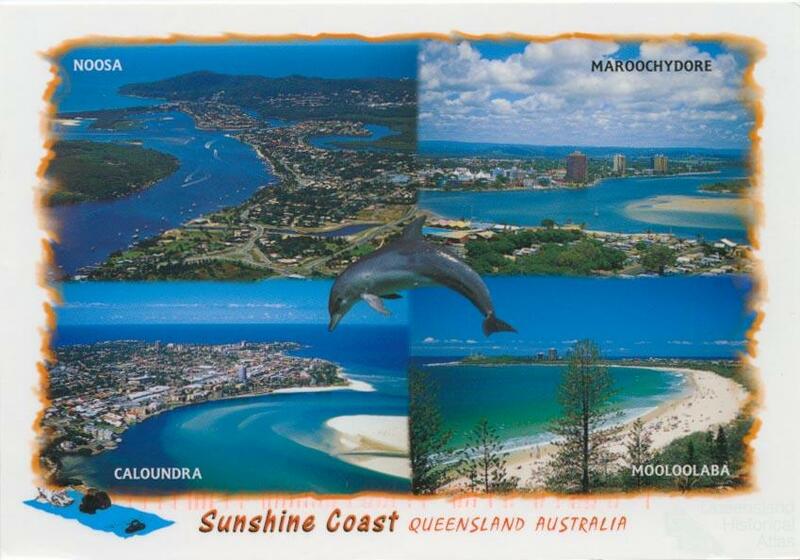 In the main a sandy lowland, the Sunshine Coast runs from north of Brisbane to the Noosa River. 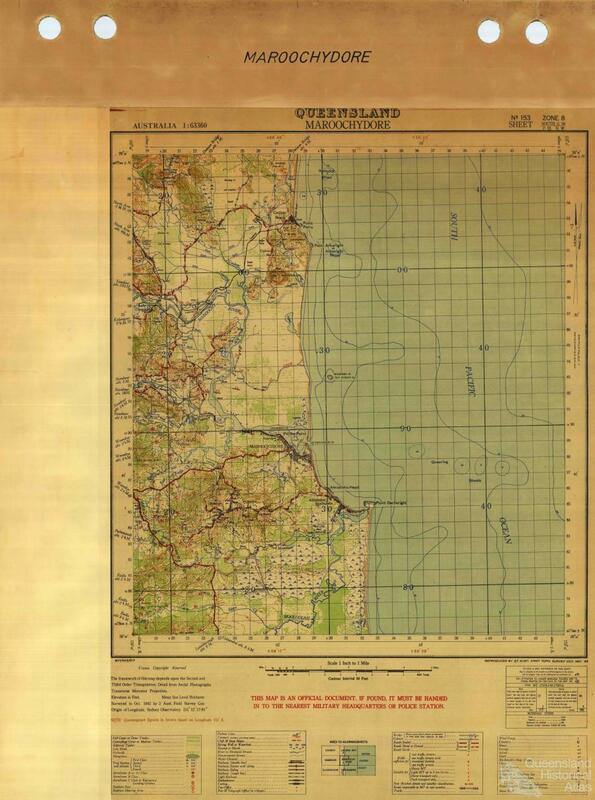 It is bounded to the east by surf beaches and the Coral Sea, to the west the abrupt escarpment of the Blackall Range defines the inland margins of the Coast. Here dense forest, few made roads and sparsely populated green valleys demarcate a natural order quite distinct from the breathless rebuilding of the coast. The recently-created Sunshine Coast Regional Council runs across three estuarine environments of the Mooloolah, Maroochy and Noosa Rivers. These coastal flat lands often swampy and in part below sea level were formed over thousands of years by sand washed ashore along coastal currents. At the centre of the Sunshine Coast, Buderim rises above the sand flats, a broad plateau that has bent the rain waters cascading down from the Blackall Range into the river estuaries and today shapes much of the modern movement of people and cars. This landscape is best thought of as a linear form of urbanism with three distinct divisions. Along the coast, apartments front surf beaches, estuaries and creeks. Ebullient two-storey homes styled as Tuscan or otherwise exotic, proudly present themselves to concrete-encased canals and artificial lakes. At the headlands the remains of a more ramshackle urban environment, of fibro shacks, stilt houses and timber flats does survive, in many cases though these are already slated for demolition and rebuilding. 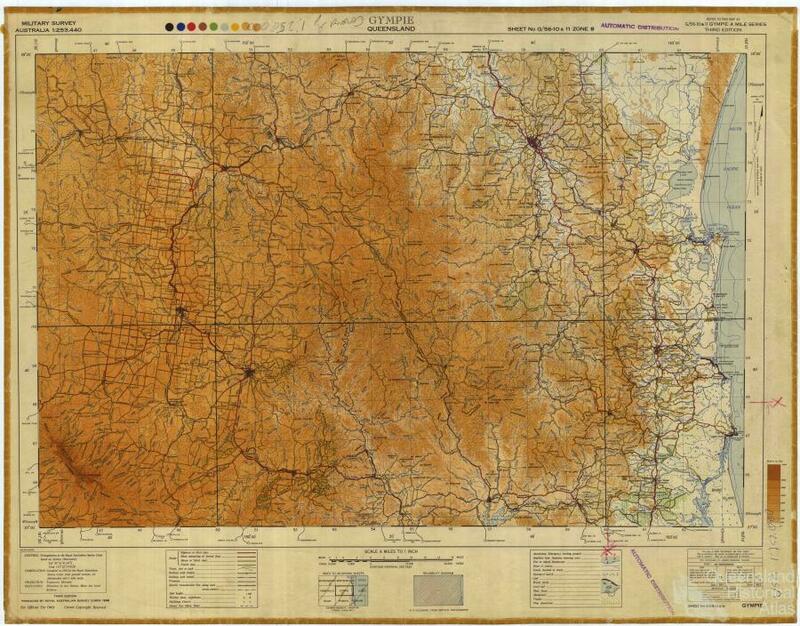 Inland, a corridor of transport and services links local towns with Brisbane to the south and Gympie to the north. Here in rough parallel run the Bruce Highway, the main trunk railway and now service networks for water and electricity supply. The third segment commences at the slopes leading to the Blackall Range. Some small-scale fruit farmers survive in the face of ex-urban housing estates. Here and there on the river flats sugar cane still grows. The rapid rise of ravines and gullies into the Blackall Range led until recently to a mixture of hobby farming, alternative lifestyle co-operatives, fruit blocks, dairy farms and small housing estates set against forested slopes and the steep falls of creeks and rivers and bounded by prized recreational parks like Mary Cairncross. Here too though ‘acreage’ estates often built to grander scale than those on the coast, are beginning to transform a once remote and isolated backdrop to the flatland’s sprawl. The Sunshine Coast’s historical character again springs from the coast, then the central corridor and finally the range. The first Europeans came into sporadic contact with local Indigenous peoples from the Kabi group along the coast – Cook and later seafarers noticed fires on the shoreline as they sailed past in the late eighteenth century. The first Europeans of these coastal lands were convict runaways who wandered into the area during the 1820s and were sometimes adopted by tribes. John Graham escaped from Moreton Bay and lived with the Kabi at Tewantin and then the Undanbi at the Maroochy River in 1827. David Bracewell (Wandi) also lived in Aboriginal communities and James Davis was a part of a Eumundi group in 1831. Small European fishing groups lived alongside Indigenous families at the region’s river mouths in the mid-nineteenth century, sometimes inter-marrying into Aboriginal clan networks. A few plank and branch shacks stood in the rare clearing along the Pumicestone Passage or the estuaries and coastal villages, such as they were, comprised only a handful of houses before 1900. On beaches like Shelly Beach in Caloundra shell-grit was taken by barge to Brisbane to create a mortar for building foundations. From the small clusters of houses, principal amongst them Tewantin on the Noosa River with only a few hundred people before 1900, timber getters moved inland hacking through the scrub and cutting the prized red cedar. Timber-cutters first penetrated the river valleys after 1840, and made little direct impact on Aboriginal cultural and economic life. 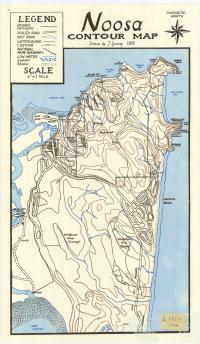 The coastal strip extended into rich timber stands and cutters fought their way from waterways through dense ‘vine scrub’ to chop down red cedar and hoop pine. They were restricted from large parts of the coast by Gipp’s bunya protection area – a decree that more often hindered rather than halted assaults on bunya forests. Devastation of the forest intensified after Queensland’s separation from New South Wales and the lifting of the bunya protection. 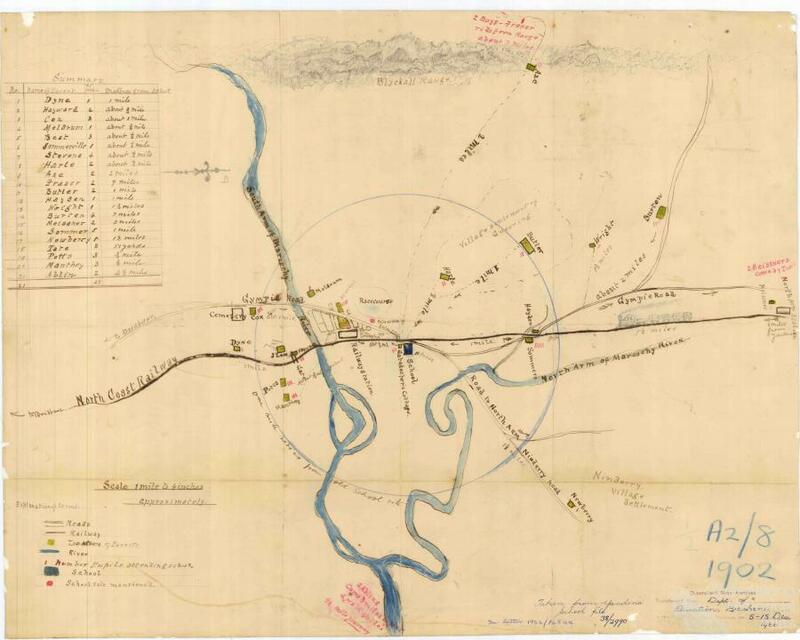 A thorough exploitation of stands of cedar, beech and hoop pine accelerated again during gold discoveries in Gympie after 1867. Timber getters depended on the rivers for transport with logs rafted down to the river mouth or wharves and loaded onto steamers like the Tarshaw for transport to Brisbane. Pit sawn timber gave way to sawmills by the end of the nineteenth century. Timber millers like William Pettigrew ran a Brisbane mill and at the same time set up wharves along the Maroochy River. Etheridge’s Mill at Eurmundi was opened in 1895, with a tramway to shift logs to the rail rather than river wharves and products ranging from timber sections for balloon frame house building to yellow carrabeen for oars and pine for broom handles. River transport remained critical to the coastal strip long after the rich timber stands were exhausted. The first small skiffs made way for stern- and side-wheeled paddle steamers by the end of the nineteenth century. One of the most familiar was the Maloney brothers’ Waterhen. It took timber and shell-grit south through Pumicestone Passage returning with supplies and the occasional holiday-maker. Pettigrew converted a steamship into a paddle wheeler which was able to find its way around the difficult bars on the Maroochy and Mooloolah Rivers and bring timber from upstream of the Noosa Lakes system. The surviving mill site of Elanda Point demonstrates the complexity and the scale of mechanised milling and the dependence of the timber trade on accessible shipping from up and down stream. By the early twentieth century shipping was augmented by fishing fleets and on shore net fishing. Long time residents can still recall the rich schools of mullet making inshore waters black with their massed bodies. A small fishing fleet still anchors in the Mooloolah River and on-shore commercial fishermen still net from flat sand beaches. But the days of abundant sea stocks are now long gone. 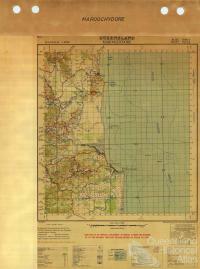 The south of the Sunshine Coast had a different role to the timber sites of the north. From the 1840s shipping especially when under sail faced great difficulties getting through Moreton Bay and into the Brisbane River. 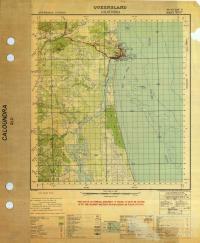 A bar trapped several sailors and shifting sand ridges blocked channels running to the south of the bay. Ships began using northern entrances past Caloundra headland and the first shipping light was a fire and pyramid structure on the lighthouse reserve along Albert and Burgess Streets at Caloundra’s Wickham Point. A new lighthouse on the highest point of Caloundra followed with an acetylene light installed in 1910. The northern entrance to Moreton Bay became the most reliable passage and a pilot boat sailed up and down off Caloundra’s Shelly Beach to guide the inexperienced. The Caloundra lighthouse and shipping lanes in turn stimulated a tourist industry which spread north to Mooloolaba and Noosa. Tourism initially revolved around beach walks and climbs to the light house rather than swimming. These holiday-makers arrived by boat and stayed in guesthouses, timbered and with wide verandahs and airy dining halls and lounges. The Laguna Guesthouse in Noosa was a much-loved hub for dances, dinners and indoor sports as well as a reliable accommodation centre. Hotel Francis hidden away at Shelly Beach was a favourite of Queensland political figures. Cotton Tree emerged as one of the first sites of camping holidays with a Salvation Army Christmas Camp from 1888. The lifesaving associations stimulated further tourist concentration with real estate sold near beaches and advertised as ‘close to the (life-saving) flags’. By the end of World War I townships like Mooloolaba had been gazetted and largely appealed to Brisbanites wanting cheap seaside building blocks. The Melbourne firm of T.M. Burke was responsible for much of the coastal development north of the Maroochy River. 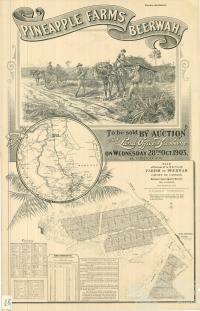 Burke and his Queensland manager Colonel Corrigan engaged the Queensland Town Planning Association’s R.N. McInnis to create what they claimed was the state’s first planned village at Sunshine Beach during the 1920s. They then approached the Queensland government and secured grants of land between Noosa and Maroochydore in exchange for construction of a scenic coastal highway. Peregian stands as their last contribution to a modernised and symmetrical coastal urbanism. Inland from the coast, pastoral runs were taken up by mid-nineteenth century. The Skyring brothers took up a lease in 1853. 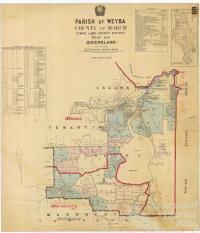 The bunya protection area blocked other graziers who saw richer land to the north. The sandy scrub of Maroochy and Mooloolah were more often described as ‘desolate’ or ‘melancholy’. 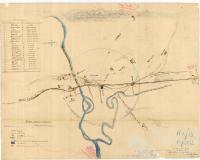 When James Nash discovered gold at Gympie tracks were cut from the coast to the new diggings. The main Gympie road ran through the centre of the region with small towns at Berwah, Landsborough, Woombye and Yandina becoming coach stops. 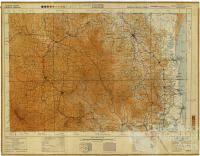 Yandina with Low’s General Store and Post office was the key township. Along the main street of Yandina, wooden verandahs, a pub and timber shopfronts still have a sense of the older Sunshine Coast, an identity swept away in so many other areas. Pastoral leases were overridden by land selection and small farming during the 1870s and following the Crown Land Act of 1868. The upland plateau of Buderim attracted a community of Quakers who farmed a range of fruits amongst them ginger. Here too the red cedar was cut for building materials and taken out by tramway. The Moreton Mill, run eventually as a co-operative and based in Nambour was connected to a sugar cane growing region spread across the river estuaries and Petrie Creek. Railway tracks from Maryborough reached south by 1889 and in 1891 the 4-5 hour trip from Brisbane to Gympie took its first passengers behind an American-manufactured locomotive. As new small farms opened, Nambour emerged as the farmers’ service centre. Many such small farmers however struggled to find appropriate crops but cleared what was left of the lower forest nonetheless. Intensive farming forced some Aboriginal groups onto the margins of their traditional lands. European farmers tried several plantings with coffee, cane and bananas followed by citrus and later pineapple. More recent additions have been avocados and lychees. The staple of sugar cane declined by 1883 but expanded in the twentieth century with its heyday in the 1950s and 1960s. Moreton Mill became by the early twentieth century a focal point with its network of tramways through the coast. 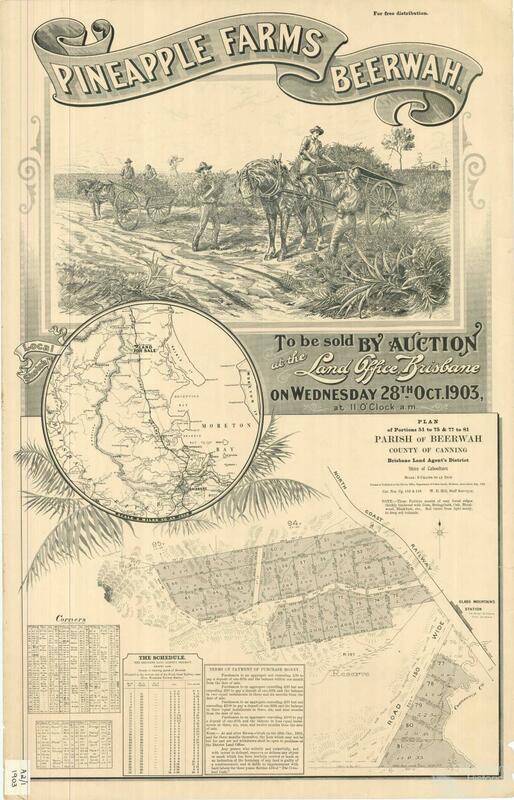 Fruit growers also relied on tramways especially the Buderim to Palmwoods line through Chevallum. Refrigerated railcars and fruit strengthened the roles of towns such as Pomona, Palmwoods and Woombye, all on the central railway. Even some tourist spots, Coolum for example, were best reached by tram rather than boat or train. Farmers were able to export to Melbourne and Sydney markets by 1913. Perhaps less successful were those soldier settlers who took up land in one of Australia’s largest such schemes at Berwah after 1919. The fruit growers and cane farmers who survived, did so by working together in tight co-operatives and in 1924 the co-operative structure was co-ordinated and given direction through the Committee of Direction of Fruit Marketing. These small railway towns were thriving enterprises with their busy main streets, railway stations and two storeyed and timbered pubs. The Pomona picture theatre almost alone in the world still regularly shows silent films. Over the years exotic trees like jacaranda, camphor laurel and frangipani created a colourful, languid overlay to the vicissitudes of small-scale farming. Nambour as a wealthy and consciously progressive town, erased its colonial town centre after an inter-war fire and is now testament to the failures of modernising plans of the twentieth century. Successive rebuildings in brick and concrete (the first commenced as a great modernising exercise after World War I) have done little to create a vital town centre, so that decline of sugar and closure of the mill has left the town unable to revive its once leading local role. Increasingly the expansion of industrial sites near to the motorway, the provision of water and power routes and rail duplication will begin to change the central strip. Each small town now spreads into new housing estates and whilst planners are conscious of the need to avoid a mass car-based suburban expanse, rising land values threaten even the most prosperous and efficient of local fruit growers. In some sections, along Chevallum Road for example, flood-prone land is still used for strawberry farms, but even here there are recurrent plans for expanded warehousing estates. The small fruit blocks of the central corridor run up to higher slopes of the Blackall Range. Once remote the range was changed by the 1930s as cane farming was exhausted and dairying made its mark. Dairy equalisation (which enabled Queensland farmers to compete with southern dairy farms) meant small butter factories were built at several towns, most profitably in Maleny, and again linked to co-operatives. But dairy men and women like cane-farmers before them, face an uncertain future, with free market idealogues and real estate developers reshaping the farmlands of the range. World War II brought greater attention to the near north coast as the Sunshine Coast was called. 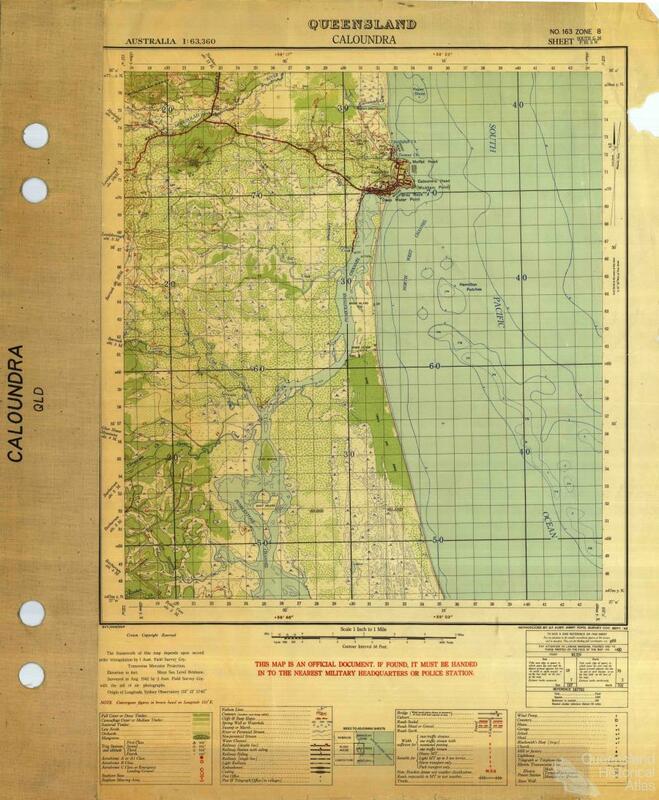 Caloundra became a major military centre with controlled entry, gun emplacements, observation posts and training grounds. 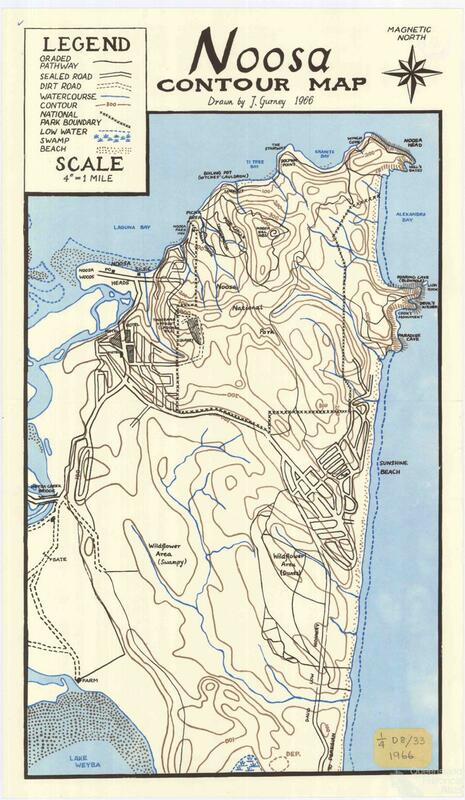 American military headquarters were located along Burgess Street Caloundra, a vantage point looking over the shipping lanes into Brisbane and potential invasion sites along beachfronts. Mines were laid by Japanese submarines off Caloundra and artillery on Battery Hill did briefly engage with a submarine. Military encampments were thrown together on the edge of many townships and troops and equipment were moved through the coastal strip in immense numbers. The coast’s most tragic wartime event, however, was the sinking of the hospital ship the Centaur in shipping lanes between Caloundra and Moreton Island. 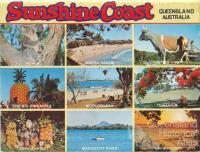 Urbanisation of the Sunshine Coast increased after 1945 and gathered pace by 1970s. 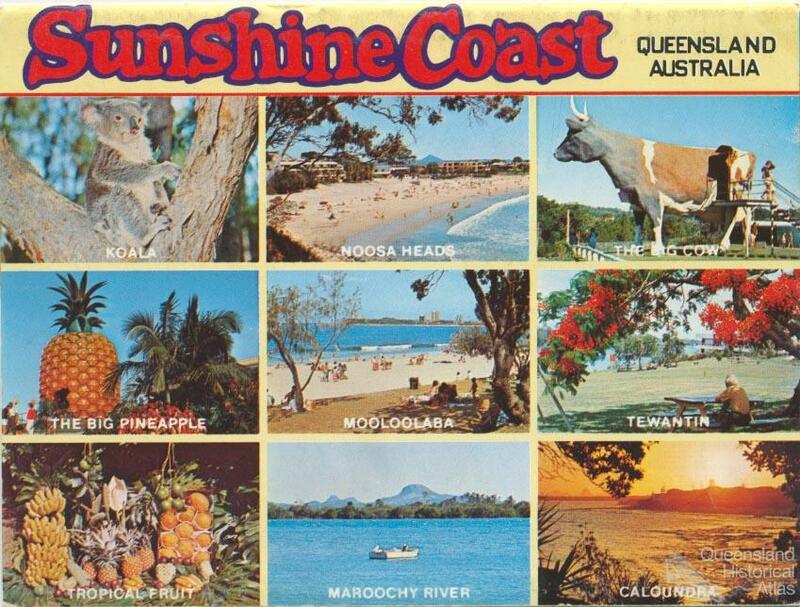 In Maroochydore the population living permanently rose from less than 40,000 in 1977 to more than 50,000 by 1983. Maroochy Shire after much bitter dispute introduced height controls on tourist development in 1980 but this only led to lengthy battles between developers and council with the state government typically on the side of the development industry and ministerial rezoning over-riding council decisions. Sunshine Coast media and angry residents are quick to attack any high rise proposal near to the beach. In reality there are few genuine high rise buildings on the Sunshine Coast. Those that do exist are restricted to places like Cotton Tree and Duporth Avenue in Maroochydore, the Esplanade at Mooloolaba and Golden Beach and Kings Beach in Caloundra which afford views of the Pumicestone Passage. After intense pressure from local environmental activists Noosa Shire opposed high rise development in Noosa Heads. How successful these controls have been in protecting local character is a moot point – since in the absence of a high-rise tourist zone, medium density developments spread along the Noosa River waterfront and the last of the timber houses transported from the Gympie goldfields are again removed. Several pockets of detached private homes survive near to the waterfront of the Sunshine Coast but in every building boom since 1980 medium density apartment blocks have spread rapidly into these locales. More fundamentally altering the local environment have been canal estates, large blocks with substantial houses on new ‘acreage’ estates and closed ‘communities’ (sic) either for retirement or luxurious lifestyle living. During this suburbanisation, the economy of the coast has become highly dependent on two forces, government provision of services to support population growth and a building industry highly dependent on increasing population. This precarious regional economy sustained by a quixotic tourist trade, fluctuating inter-state migration, and state government debt increasingly reflects the shortcomings of poorly serviced outer suburbs in all Australian capital cities. For all its claims to regional distinctiveness, many of them driven by local media outlets, the Sunshine Coast is a very predictable car-based suburbia, its once extensive network of industrial and tourist tramways now neglected. Local and state government planners have sought to make good the damage of unrestrained growth and there are signs that at a small scale the quality of urban design has risen. A local environmental conscience does exist and several campaigns especially in Noosa have resulted in expanded national parks and protection of critically important environments. Planners, however, are now confronting exceptional weather patterns, resulting in changed shorelines, the flooding of land subdivided in more optimistic times and extensive damage to roads. A series of cyclones from 1954 to 1974 ought to have warned property developers and home-owners of the volatility of sub-tropical weather patterns – especially after the collapse of beaches in Noosa and Caloundra and the destruction of land slated for canal development and high rise. Bullish real estate developers and media commentators may be forced to take resource depletion and climate change more seriously as the twenty-first century unfolds. For the moment, however, the Sunshine Coast, once paraded as a paradise, may well merit distinction as the first Australian urbanised region in which environmental ignorance makes its full destructive force felt.